Comfortable holiday home in Spanish style with sophisticated equipment. The house has a large living, dining and kitchen area, 3 bedrooms, 2 bathrooms and a guest WC. Four terraces, including a tower terrace with a stunning view of the sea and the marina and a covered terrace invite you to relax. 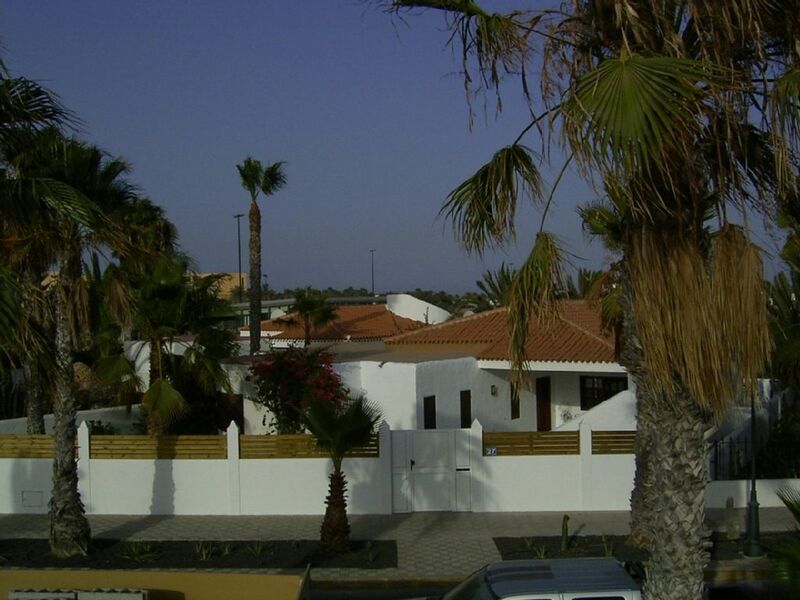 The 700m² large garden has planting typical for the country with palm trees and cacti and borders the beach area. A communal pool is located nearby. The holiday home is located on the edge of a holiday village with a lot of restaurants, shops, bars and clubs. About 2km away you will find 2 newly built golf courses (18 hole).